Lower Hutt, New Zealand and Minoh City in Osaka, Japan. Get a taste of Japan by coming along to our Japanese culture events and activities at Hutt Minoh Friendship House and around Lower Hutt. Escape the office, kick off your heels for a high tea or celebrate your special occasion in beautiful Jubilee Park overlooking Lower Hutt. Love Japan? Like to meet up with others who do so too? Join a new association to bring Japanese cultural events and activities to life in Lower Hut. Get in touch with Amber for more. Minoh City and Lower Hutt City are sister cities with a formal relationship since 1995. 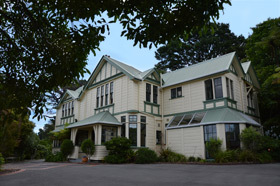 Activities include regular visits to each city, school and cultural exchanges, education programmes, sister schools and Japanese cultural events at Hutt Minoh Friendship House in Lower Hutt. Hutt Minoh House was developed by both cities and provides a focal point for the close relationship that the Wellington region has with Japan. Activities are led by the Trust and the venue is managed by the Hutt City Council.